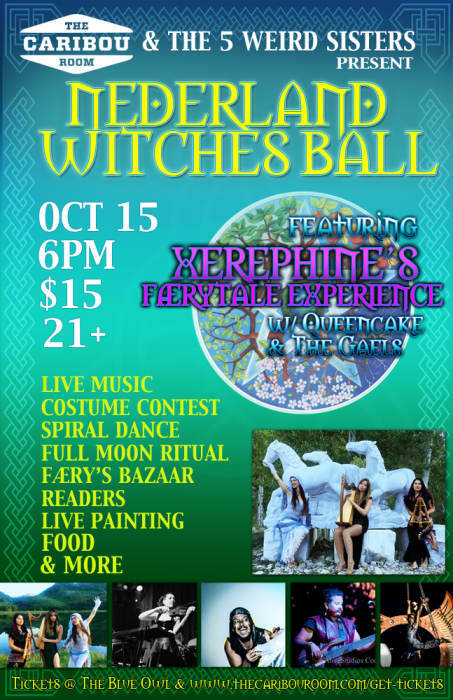 Come ride your broom, and be a part of the Nederland Witches Ball, on the full Hunter's Moon night of October 15th! 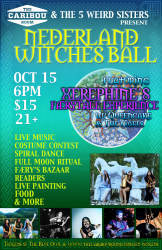 Costume contest, spiral dance and ritual at midnight, food, vendors, readers, live painting and more. A musical alchemist, she draws in sounds which ring through cosmos & echo through forests... then weaves them into songs which unfold like faery tales.